Employment disputes are unwanted occurrences for the employee and employer. 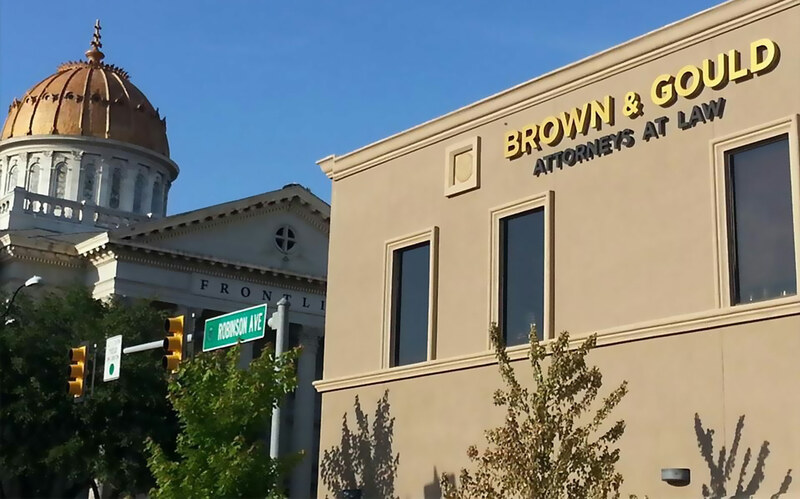 At Brown & Gould, PLLC, we help employees to effectively resolve employment law issues in Oklahoma City, Oklahoma. Our skilled attorneys represent clients in a variety of employment law issues that require litigation throughout Oklahoma and Texas. If you are an employee and you feel you have been wronged, contact the attorneys at Brown & Gould, PLLC or call 405-235-4500. We litigate employment disputes in state and federal courts, as well as before the Oklahoma Labor Department and the Equal Employment Opportunity Commission. From our extensive knowledge of employment law, we know how to form case strategies that accomplish clients’ objectives. We analyze the strengths and weaknesses of a case from both sides. Clients benefit from our ability to use a pragmatic approach. For every unlawful termination issue, we work closely with a client to establish proof and gather evidence. We are diligent in our legal approach and meticulously address every detail needed to complete required paperwork. During every step, we make the legal process less cumbersome for a client. Our dedicated attorneys remain confident advocates and always protect a client’s rights. If you would like to discuss an employment law issue, contact us. Please call 405-235-4500 or send an e-mail to arrange a consultation. We are happy to schedule off-site, evening or weekend appointments for the convenience of our clients.